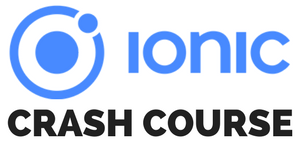 Want to get started with Ionic? Because there is still no calendar component directly shipping with Ionic 4 it’s time to revisit how to build one yourself using a great package we already used in a previous post. The problem with creating a tutorial like this is that the need for a calendar view varies in almost every app. We’ll dive into building a calendar using the ionic2-calendar package which offers some different views and can be customised to some degree, but if you have very specific requirements you might need to create everything from the ground up yourself. I’ve also talked about alternatives and using a different package inside Building a Calendar for Ionic With Angular Calendar & Calendar Alternatives. There are no further imports for dates or whatsoever right now and we can dive right into it! The first part of our view consists of a bunch of elements that we need to control the calendar and add new events. Also we add a little card to create a new event to our calendar because it will be pretty empty. You can also take a look at the demo code which uses a random events function to fill your calendar for testing! All of these things are not really essential and the important part is at the end of our view: The actual calendar component! On this component we can set a lot of models and functions and the best way to explore all of them is the options of the package. startHour/endHour: Pretty self explanatory, right? Now we need to put some logic behind all of this. Note: We are using the calendar in its basic version. By now there’s really a lot you can customise, especially by using custom templates for cells and different other slots that you can easily add. If it doesn’t do the job immediately for you try to play around with these elements to make it fit your needs. We start with the basics for adding new events. For this we will keep an array eventSource that we also previously connected to the calendar. If you have an API where you pull the data from, you gonna add the data to this source as well! Also, normally the events only consists of a title, the times and an all day flag but actually you can have more info in there like a description, id or whatever – you will see that it get’s passed through when you click on an even later. We also have to make some date transformation as the ion-datetime expects an ISO string for the date while the calendar wants it to be a Date object. Finally, if the new event should be an all day event we have to manually patch the starting and end times using a little transformation as well. Now we are already able to add events to the calendar, but we also need some more functions that we connected inside the view previously. Next to these basic functionality we also receive the click event when we select an event inside the calendar. As said before, here we get the full object from our source so if you use some API data you now got the ID and can easily show the details for an event. In our case we use the Angular date pie from code to transform the dates and then just present an alert for testing. Finally whenever you click on a time slot in the calendar the onTimeSelected will be triggered and we use it to set the current start and end date of our event. Normally you might want to immediately open an overlay to create a new event when a user clicks on a time slot like they are used to from Google or Apple calendar! We also have to make sure to use ISO strings for the date again at this point because of the component we used. You now got a fully functional calendar with a lot of ways to customise the appearance and react to user input and different events! The Ionic2-calendar package remains one of the best ways to add a calendar to your Ionic app fast. If you depend on drag & drop functionality you still have to look somewhere else as this is not yet included (maybe in the future?). Have you used a better calendar inside your Ionic app yet? Let me know your experiences in the comments! You can also find a video version of this article below. The course is free, so there's nothing you can lose! Become a Full Stack Developer!